WHAT DOES Massachusetts have against the First Amendment? A lawsuit filed in Superior Court by two family-owned companies — 1A Auto Inc., an auto-parts vendor in Pepperell, and 126 Self Storage Inc., a storage-unit rental firm in Ashland — challenges state campaign-finance rules so crazily lopsided they should be equipped with grab bars. Massachusetts law has long banned businesses from contributing to political candidates or parties, but under rules dating back to the 1980s, labor unions are free to spend up to $15,000 per year in direct political contributions with no disclosure required. Labor unions can also set up PACs — political action committees — to funnel money to candidates and parties they support. Businesses in Massachusetts aren't allowed to do that either. Under the First Amendment, Massachusetts may not privilege some political speakers over others — not even labor unions. The sheer unfairness of such regulations speaks for itself. Whatever your view of unions or businesses — or of any interest group — there should be only one standard for determining whether they can engage in political expression. In 15 states, according to the National Conference of State Legislatures, businesses and unions alike are prohibited from making direct campaign contributions. Nearly twice as many states permit both to contribute on equal terms. If you didn't know better, you might think it a no-brainer that a state like Massachusetts — a cradle of American liberty, the home of such free-speech champions as Oliver Wendell Holmes Jr. and Louis Brandeis — would be in the second group, holding the marketplace of ideas open to all comers. Instead Massachusetts is one of a handful of states that blatantly discriminates, blocking campaign contributions from businesses while clearing the way for unions to get involved in electoral contests. The $15,000 no-disclosure loophole is especially egregious. "More than any other state," argues Jim Manley, a senior litigator with the Arizona-based Goldwater Institute, a pro-bono legal group representing the plaintiffs, "Massachusetts' campaign contribution restrictions are tilted in favor of unions and against businesses." In McCullen v. Coakley, a case decided last June, the US Supreme Court unanimously struck down the Massachusetts "buffer zone" law, which prohibited even peaceful speech or silent protest within 35 feet of abortion clinics. The justices rejected the state's claim that the sweeping ban made it easy to preserve public order. "A painted line on the sidewalk is easy to enforce," the court observed dryly, "but the prime objective of the First Amendment is not efficiency." Massachusetts was likewise rebuked by the high court in 1995, when the justices slapped down attempts to force organizers of the South Boston St. Patrick's Day parade to include a gay and lesbian group among the marchers. Such behavior "grates on the First Amendment," wrote Justice David Souter. Government "is not free to interfere with speech for no better reason than promoting an approved message or discouraging a disfavored one." An even earlier free-speech landmark, the 1978 case of Bank of Boston v. Bellotti, is especially relevant to the new lawsuit over contributions. Massachusetts had made it illegal for businesses to give money to ballot initiative campaigns. The Supreme Court ruled that under the Bill of Rights, no such ban could stand: There is "no support in the First or Fourteenth Amendment . . . for the proposition that speech that otherwise would be within the protection of the First Amendment loses that protection simply because its source is a corporation." 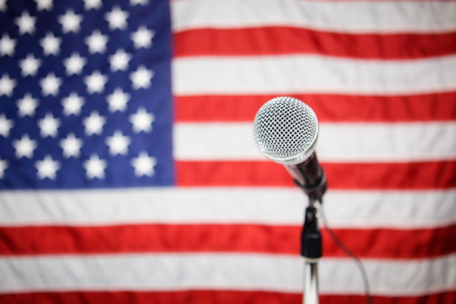 The key teaching of the Bellotti case — that the First Amendment does not allow political speech restrictions based on a speaker's corporate identity — is not one that the Supreme Court has backed away from. If anything, it is even more secure today than just a few years ago. Massachusetts cannot get away with treating political spending by organized labor as so sublime that unions can donate $15,000, no questions asked, to a single candidate, while individual donors are held to $1,000 — and businesses are deemed too impure to be allowed to donate one red cent. Nor can the state justify its green light for union-financed PACs, while it warns businesses against giving anything to a PAC, not even a business name. "Massachusetts needs extraordinarily good reasons to discriminate against businesses' political speech," the plaintiffs' lawyers contend, "and there is no reason good enough to justify Massachusetts' total ban." Will Beacon Hill once again dig in its heels and defend an unconstitutional law? Or will it this time defer to the Constitution — and rectify its campaign-finance injustice voluntarily, before it's forced to do so in court?